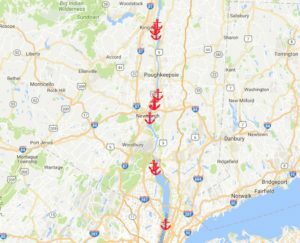 Hudson Valley legislators at both the national and state level have been working on legislation that addresses the threat posed by the Coast Guard’s proposal to establish ten new anchorage grounds on the Hudson River. The legislation has been getting plenty of support from local environmental groups and Hudson Valley towns. Here is a brief update. At the federal level, Congressmen Sean Patrick Maloney and John Faso have introduced legislation that would significantly slow down the Coast Guard’s proposal. A revised version of the bill takes a softer approach, but it would delay any decision on establishing new anchorages for at least a year. The Coast Guard would have six months to provide a summary of public comments on the proposed anchorages and then wait at least another six months before approving any new sites. The Coast Guard would also be required to conduct environmental studies on the proposal. There’s more about the legislation in this article in the Kingston Daily Freeman. 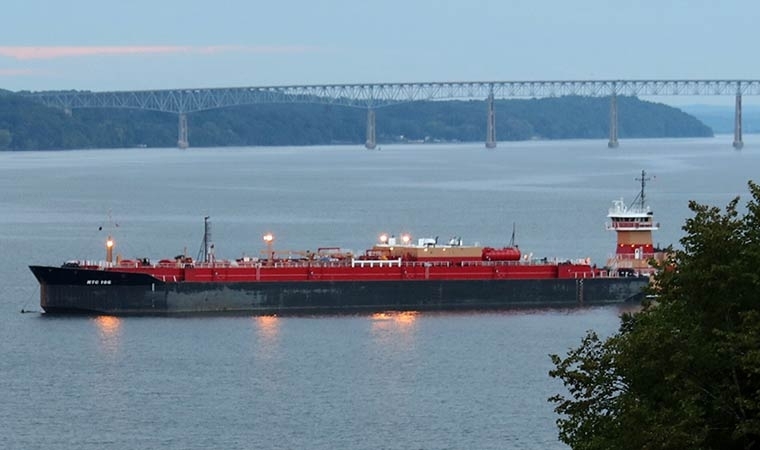 On the state level, proposed legislation would give the New York State Department of Environmental Conservation (DEC) the power to establish “Tanker Avoidance Zones” near sensitive aquatic habitats, waterfront communities and other factors critical to the safety and security of the Hudson River. In establishing these zones, the DEC would need to consult with the Coast Guard, the Board of Commissioners of Pilots, the Department of State, the Office of Parks, Recreation and Historic Preservation, and local elected officials. The version of the bill before the New York State Assembly (A.6825A), which was introduced by Assembly member Didi Barrett, was passed unanimously through the Committee on Environmental Conservation and now needs to go through the Ways and Means Committee. The Senate bill (S.5197B), which was introduced by Senator Sue Serino, was also passed unanimously by the Environmental Conservation Committee, and it now needs to go through the Senate Rules committee. The legislative session ends on June 21, so there are only a few days remaining during which the bills can be voted on, but they are on the short list to pass. If the bill does pass both the Senate and Assembly, Governor Cuomo would have until September to sign it into law. There’s more about the legislation in this article on WAMC. Ask your state Senator and Assembly member to co-sponsor bills (S.5197B and A.6825A, respectively) that would allow the Department of Environmental Conservation (DEC) to establish “Tanker Avoidance Zones” on the basis of their close proximity to critical fish and wildlife habitats, waterfront communities, drinking water infrastructure, and other considerations. In order to connect directly to your own state senator’s office, Food & Water Watch makes it easy on this page. The NY State Legislature will adjourn by the end of next week, so please make your call as soon as possible. You can also send a message to your elected officials using this form provided by Food & Water Watch. There’s a helpful letter to concerned citizens from Food & Water Watch here.